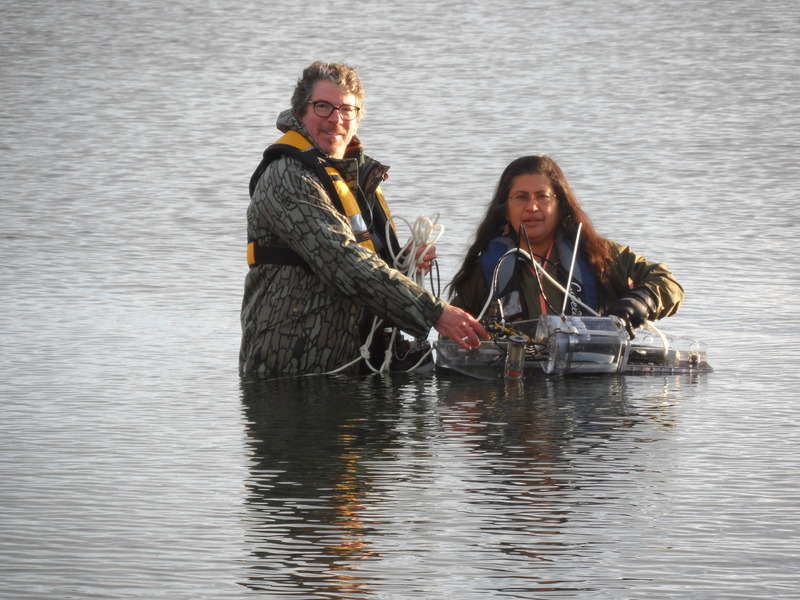 Opti O2, LLC, was founded in 2011 by Dr. Ruby Ghosh in her laboratory at Michigan State University. Opti O2 designs, develops, assembles, markets, and supports dissolved oxygen sensors and related ancillary hardware/software products. The company currently has seven employees and plans to hire two additional full-time employees. At present, the Company’s core competencies lie in the areas of sensing film chemistry development, electronics development, enclosure development, firmware/software development, and sensor assembly/testing. The Company intends to expand its core competencies to include sensing film production, implementation engineering, and customer sales/support/service. Since Opti O2's inception, the Company has received more than $5 million in funding from a variety of sources that include the Michigan Emerging Technology Fund and Department of Energy. 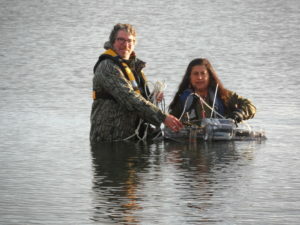 Dr. Ruby Ghosh (right) accompanied by Opti O2 staff member Terry Ball at a recent probe deployment.